Our covenant God is longsuffering towards His people in their suffering. David confessed this comforting truth in Psalm 86. After telling the Lord about his persecution by the ungodly—“O God, the proud are risen against me, and the assemblies of violent men have sought after my soul; and have not set thee before them” (14)—David consoles himself with these words: “But thou, O Lord, art a God full of compassion, and gracious, longsuffering, and plenteous in mercy and truth” (15). In Christ’s parable in Luke 18:1-8, the widow is the object of great injustice and ill-treatment at the hands of her oppressor. Even the unjust judge, wanting to get rid of her, eventually vindicates her (4-5). Jesus draws this lesson from the parable: “And shall not God avenge his own elect, which cry day and night unto him, though he bear long with [i.e., is longsuffering towards] them?” (7). How is this longsuffering possible for the unchangeable and ever-blessed God? The answer is that God shows empathy and is longsuffering towards His people, especially in their sufferings, through Jesus Christ who is both God and man in one divine Person. As God, Jesus cannot suffer. As man, our Saviour is “touched with the feeling of our infirmities” (Heb. 4:15). Our calling is obvious: “Let us therefore come boldly unto the throne of grace, that we may obtain mercy, and find grace to help in time of need” (16). Like the widow in the parable (as well as David and Jeremiah), we “ought always to pray, and not to faint” (Luke 18:1), even when we are oppressed and afflicted by the ungodly, for God suffers long and empathizes with us in Jesus Christ. Isaiah 63 teaches the same truth, though without using the word “longsuffering”: “In all their affliction he was afflicted, and the angel of his presence saved them: in his love and in his pity he redeemed them; and he bare them, and carried them all the days of old” (9). This refers to the “love” and “pity” of the impassible God who was “afflicted” in “all” Israel’s “affliction” in “the angel of his presence,” Christ, who is God’s special divine angel (i.e., messenger) who “redeemed” and “saved” them. Again, as a man, our Saviour is “touched with the feeling of our infirmities” (Heb. 4:15). Isaiah 63:9 declares the same message as Exodus 3:2. Where is Christ, “the angel [or special messenger] of the Lord”? In the burning bush, in the midst of the church experiencing the fiery afflictions of Pharaoh’s persecution. This means not only that He is “afflicted” in Israel’s “affliction” (Isa. 63:9). It also means that it is Christ’s presence in the Old Testament church which preserves it so that, though “the bush burned with fire,” it “was not consumed” (Ex. 3:2). After the elders of Israel were told of God’s longsuffering towards and with them (in Christ), they were struck with awe: “when they heard that the Lord had visited the children of Israel, and that he had looked upon their affliction, then they bowed their heads and worshipped” (4:31). Moving from the Israelites who were forced to make bricks without straw, James 5 refers to Christian employees who are abused in the work place and defrauded of their wages (4, 6). What is the exhortation God gives to His people in this Scripture? Join a labour union? Go on strike? Overthrow the “capitalist pigs”? No, exercise the grace of longsuffering in light of the bodily return of Jesus Christ! “Be patient [i.e., be longsuffering] therefore, brethren, unto the coming of the Lord. Behold, the husbandman waiteth for the precious fruit of the earth, and hath long patience [i.e., is longsuffering] for it, until he receive the early and latter rain. Be ye also patient [i.e., be longsuffering]; stablish your hearts: for the coming of the Lord draweth nigh … Take, my brethren, the prophets, who have spoken in the name of the Lord, for an example of suffering affliction, and of patience [i.e., longsuffering]” (7-8, 10). Notice the two examples given here of patience and longsuffering: first, a farmer waiting for the harvest (7) and, second, the Old Testament prophets who endured suffering for the truth they preached (10). The saint from Uz is then set forth by James for our emulation: “Ye have heard of the patience of Job, and have seen the end of the Lord; that the Lord is very pitiful, and of tender mercy” (11). Hebrews 6 exhorts us to show Christian “diligence” to the “end” (11), “That ye be not slothful, but followers of them who through faith and patience [i.e., longsuffering] inherit the promises” (12), like Abraham (13-14), who was tested severely and, “after he had patiently endured [i.e., been longsuffering], he obtained the promise” (15). What is the New Calvinism? How does it differ from (old) Calvinism? What is its relation to the Reformation (which is in its 500th anniversary year)? And what is our calling as Calvinists and Reformed people? What is sanctification? How is it related to justification? What is the error of antinomianism? 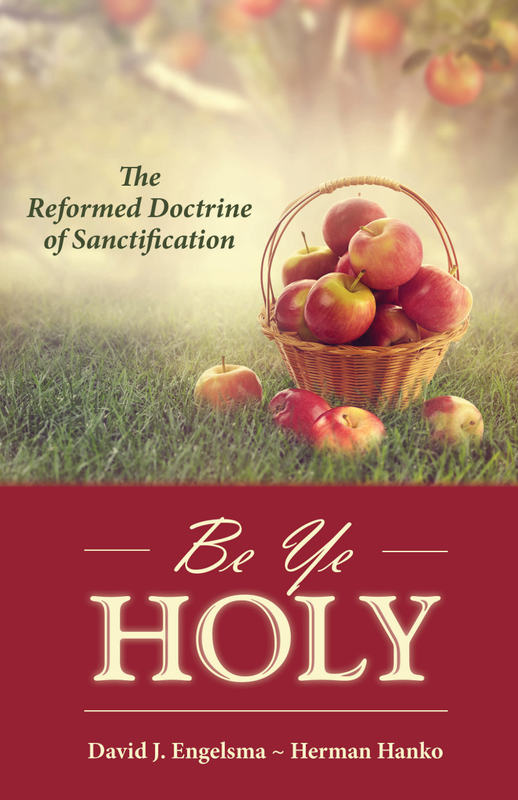 What is the role of the law in sanctification? This book covers all this and much more, and exhorts us all to holiness!